While a student at Alabama State University, where he studied finance, Erik dedicated his time and service to at-risk youth as a counselor and mentor. The desire to empower others to their highest potential has always been Erik’s drive. As an active board member of the Southern League Youth Baseball/Softball Association, he models the way of servant leadership for the youth members of the organization. Erik knows what truly drives leadership, service and community — people! Shortly after graduating college, Erik met and married his wife, Mia. They have two children Roman and Cater Symone. Erik also lives out his passion to serve others in his professional career. 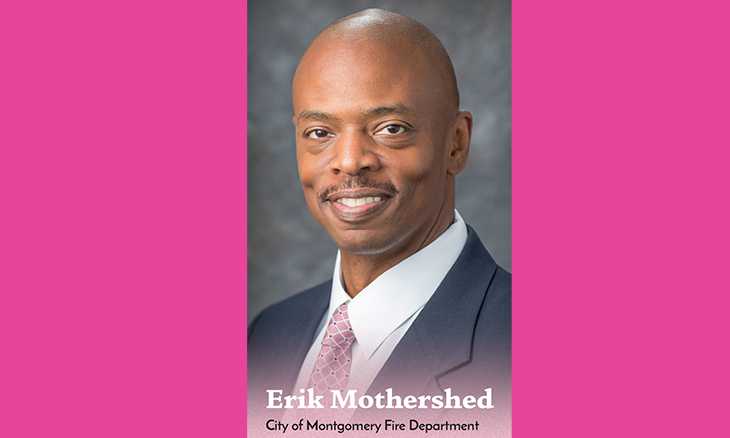 He has served as a Montgomery Firefighter for over 10 years. He is a local business owner, contributing to the local economy for 13 years as the Principal of ProClean Janitorial Services. Erik earned a B.S. in HR Management from Troy University in Montgomery.